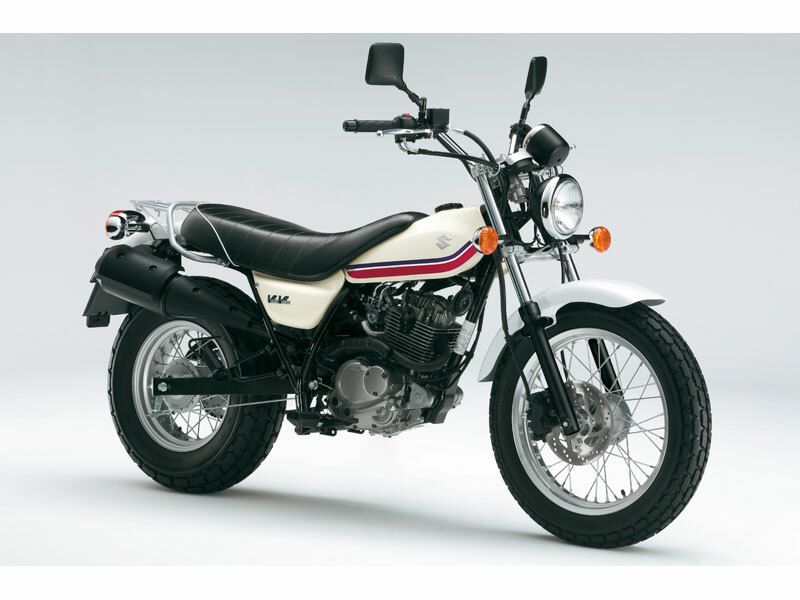 Well after months without a motorbike, today I took delivery of a brand new retro-style Suzuki TU250X – kind of a mini Triumph Bonneville (so I’m telling myself, as no way can I afford a Bonnie right now!). I’ve never owned a brand new bike before and Ive already been told all the things I have to do to “run it in” – which basically boils down to not hammering the crap out of it early on: not that that’s my riding style at all, I’m more of a laid-back, cruisey kinda rider, it has to be said. It’s always exciting getting a new bike. So much fun getting to grips with a different kind of ride, discovering the bike’s distinctive “personality” and all its little quirks and charms. How I’ve missed my weekend ride-outs, days at a time lost in adventures on the road, here, there and everywhere. Can’t wait to be on the road again! “Volty” and I have been getting acquainted and a few laps round the carpark have already highlighted some of the key differences about this bike compared with my cruiser. The most noticeable thing is the gear/back brake pedals being in a completely different postion – under my knees rather than out in front. This is going to take some practice, as I instinctively keep putting my left foot forward to change gear and then wondering why I’m treading air! The engine also has a very different kind of a sound – more of a “thumper”, this one. Ooh and did I mention it has fuel-injection, which gives it an added kind of hum. Can’t wait to get out on proper roads and see what it sounds like at full speed. But that’s for tomorrow. For now, I’m feet up with the Suzuki manual, poring over all the bike’s little features – ooh, a tool kit compartment… Early night for me – I’m out riding tomorrow! 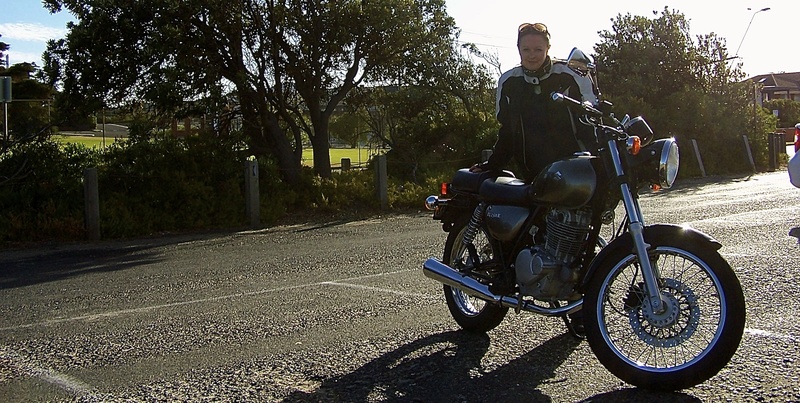 This entry was posted in Adventure Travel, Motorcycling and tagged motorcycle, Suzuki, Triumph Bonneville, TU250X, Volty on August 4, 2012 by Jeanie Davison.